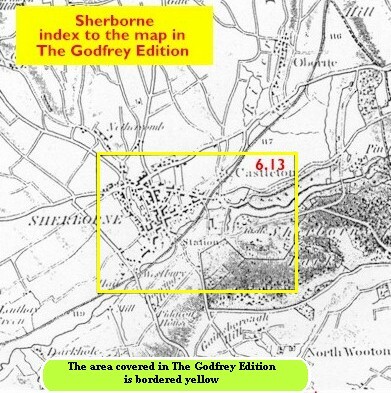 This detailed map covers the attractive north Dorset town of Sherborne. The town centre is covered, and coverage extends eastward to Sherborne Castle. Other features include the Abbey Church, King's School, station, workhouse, Castleton, remains of old castle, the 16th century Castle, Cheap Street, The Parade, Silk Mill, Newland, Green Hill, part of Nether Coombe, Digby Hotel. We include a contemporary directory on the reverse.